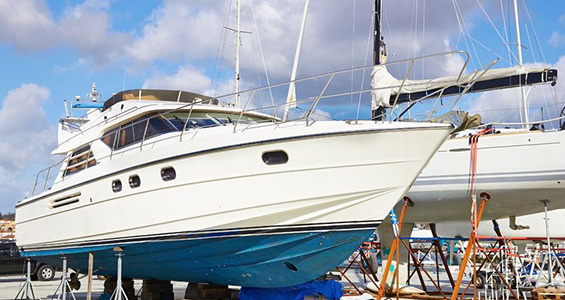 Regardless of whether you have made up your mind about purchasing a fishing boat, or you are still contemplating the matter, the first thing you need to do is get some information on what owning a boat entails. Here is some basic but also important information regarding the different types of fishing boats available in the market you should definitely know about when you are looking for fishing boats. Why Should I Look for a Fishing Boat for Sale? There are different types of fishing boats for sale available in the market and picking up the right one depends on what use you are intending to put it through. Fishing boats are ideal for two types of people, those who take fishing as a profession or are planning to do so, or those who merely consider fishing as a favorite hobby. For professional fishing, owning a personal fishing boat is definitely going to be beneficial. Even if you enjoy hitting the waters and enjoying time under clear blue skies, a fishing boat can be ideal. In addition, if you like going out fishing with your friends every now and then, and you have to rely on renting a boat every time, buying one of your own is definitely worth considering. 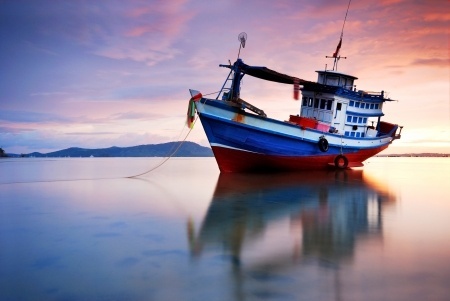 What Types of Fishing Boats are Available? Depending on the use you are going to put it to, and the waters you will be fishing in, you can pick a fishing boat accordingly from the many choices you have. You can either buy a fishing boat for professional use or you might look for something more appropriate for someone who takes fishing as a hobby. Freshwater Boats – These boats are used for fishing in lakes and other freshwater sources only to catch inland fish species like bass and walleye. These boats are further categorized into bass boats, walleye boats, aluminum boats and all-purpose boats, which you can purchase depending on the type of fish you intend to catch. Saltwater Boats – Saltwater boats are designed to be used in seawater and are further categorized as inshore, offshore and flat boats. Offshore boats are designed to catch some of the largest fish while flat boats are designed for extreme shallow waters where you can catch redfish, bonefish, trout and flounder. These boats include bay boats, jon boats, flat boats, center console walkaround and several other types of fishing boats. Fish and Ski Boats – These boats are designed not just for fishing but for other fun activities like skiing, wakeboarding and tubing as well. These boats feature casting decks that can be turned into sun pads or other amenities required for these different activities. 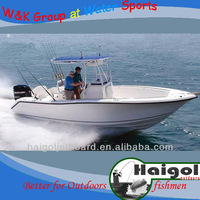 All-Purpose Boats – These boats can be used for both saltwater and freshwater fishing. They usually include aluminum boats and are designed for all types of fish. So, no matter what mood you are in, these boats will be perfect to go fishing anywhere you want. Seiners – These are used for fishing in oceans and make use of the seine fishing net to catch fish. The singular-in-shape fishing nets are used to haul fish found near the surface of the water. Longliners – These fishing boats employ a single long fishing cord that contains up to 1,000 lures to catch fish. This fishing cord is deployed from the rear end of the vessel and is consequentially spooled for picking the fish for storage. Gillnetters – These boats employ the use of the gill net system to catch fish. Gillnetters Can be operated both manually and through technical mechanisms, depending on the level of fishing they are being used for. Crabbers – These are specifically designed for those who want to fish for crabs. They are equipped with automatic windlasses to haul the catch in the trapping aids. Trawlers – Trawlers are one of the most commonly used fishing boats. They use trawler nets suspended by equipment under the specified deepness from the level of water to haul and trap fish. These boats can be used to catch a wide array of fish species. Drifters – These fishing boats are usually used for catching herring fish by using a special drift fishing net. This net falls over the water like a drape and traps fish near the surface, and is hauled back later. In most cases, you do need a license before you can take your boat out in the waters. However, the terms of your licensing depend upon the location you choose for fishing, and the types of fish you are planning to catch. The licensing requirements for a seawater boat are different from those of a bass boat in a variety of aspects. Similarly, the terms of licensing also vary depending on whether you plan to fish for tuna or salmon. 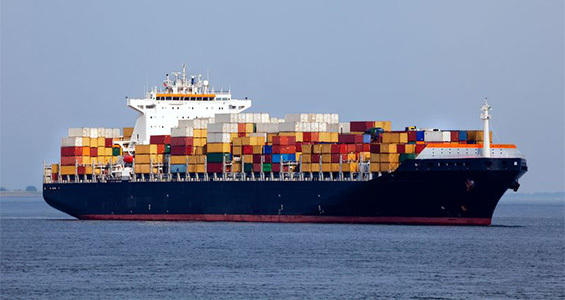 It is better that you consult a professional regarding the different and complex licensing requirements before you start looking for fishing boats for sale since that will give you a much better idea of what you want to look for. Again, that depends on what you are planning to purchase and goes beyond the purchase price of a boat. 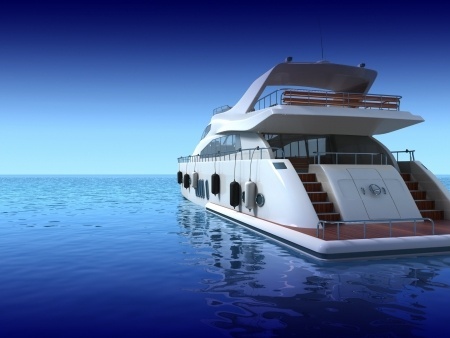 The type of boat you get, its size and its condition are some of the many factors that affect their price. If you are getting a fishing vessel in new condition from a dealer, that is going to cost you more than buying a used one. Typically, the price of a fishing boat can range between $300,000 and $1.5 million. However, there is no cap at luxury so if you want some nice features added to your boat, you can see what you can afford according to your own budget. Also, there are going to be other costs like licensing fees, maintenance costs, storage fees at the dockyard, and fuel charges that will have to be considered when you look for a fishing boat for sale. Where Can I Get a Fishing Boat for Sale? Right here; and plenty of them. Whether you are looking for a used one or a completely new boat, we have a number of dealers and sellers on our site who’d like to get in touch with you. So browse through our site to see what’s available and if you have any problems, you can ask us about it. We are right here to help you pick the right fishing boat.